Indian wealthiest man, Mukesh Ambani launched world first free 4G VoLTE phone, the Jio Phone. The announcement was made during Reliance Industries Ltd’s (RIL) 40th annual general meeting. 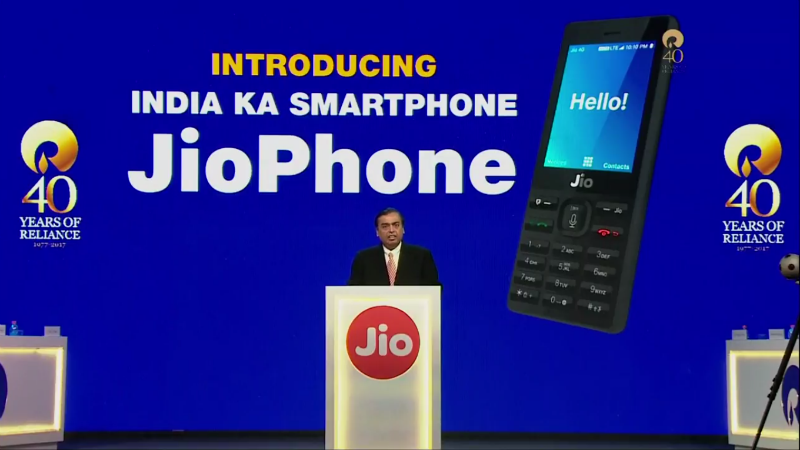 The Jio 4G phone is also called as a Jio intelligent phone. This phone will operate on both voice command and standard feature phone functionality. Voice command will work with most of the Indian languages. 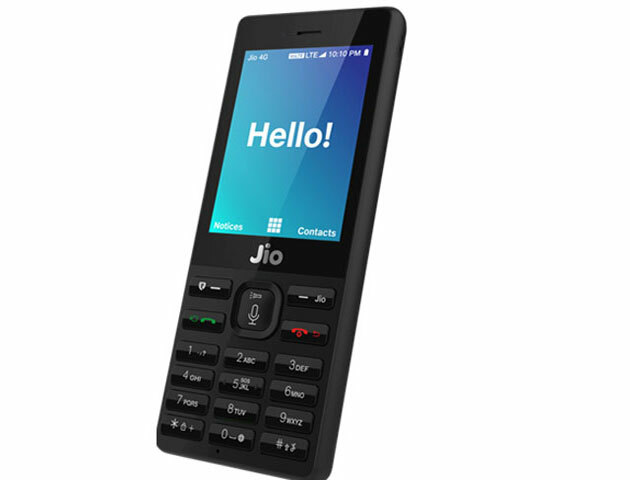 The Jio 4GPhone will be available for an effective price of Rs 0. Customer would be required to pay refundable security deposit of Rs 1500. After 3 years the money will be refunded on return of the phone. The company has a targeting of making 50 lakhs (5 million) Jio phones available to the market every week. The phone would be Made in India. The Reliance Jio Phone comes with 4G VoLTE support including Free access to Jio apps like JioCinema, JioTV, and JioMusic. The Jio phone offering lifelong free voice calls. At Rs 153 a month user will get free voice calls, free unlimited data (500MB per day) and free Jio apps subscription. This low price data subscription will put an end to unaffordable data for all Indians. Pre-Booking of Jio Phone will be starting on August 24 from Jio app and Jio offline store. Use who will pre book will able to buy the phone in September. The Customer has to pay refundable security deposit of Rs 1500 for 3 years. It supports both voice commands and Keypad to operate. You can Connect Jio Phone to any TVs to view your mobile contented on TVs. Phone will Support 4G VoLTE.